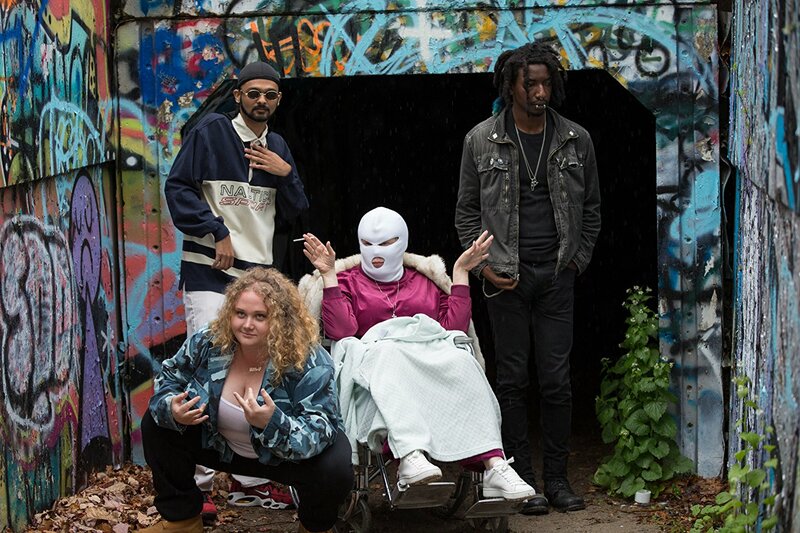 Patti Cake$ is 8 Mile meets Hustle & Flow meets Here Comes Honey Boo Boo, a story of hardscrabble uplift that teeters along the edge of wrong-side-of-the-tracks parody. But while the film’s subject-matter feels rote and its caricatures are broad, the beats to this musical fable flow from its earnest heart. Rhymes finally meet deserving rhythms when Patti and her BFF and wannabe hype man, Jheri (Siddharth Dhananjay), team up with a taciturn, enigmatic drifter who goes by the name Basterd the Antichrist (The Get Down‘s Mamoudou Athie), who lives in an abandoned cabin with all the equipment needed to record a dope demo. Of course, there are also the requisite auditions, setbacks, rap battles, and climatic concert. Like his protagonist, director Geremy Jasper grew up in New Jersey harboring seeming impossible dreams of escape through music. Many of Patti’s narrative details are drawn from Jasper’s time spent living in his parents’ Hillsdale basement after college. That background gives Patti Cake$ an authentic, lived-in feel, accented by Jasper’s deft, confident camerawork and editing. There are off-key attempts at humor throughout, from the forced involvement of Patti’s infirm grandmother (Cathy Moriarty) to a novelty anthem in which Patti raps about food products. It’s offset by an overarching melancholy, embodied by Patti’s relationship with her mother Barb (Bridget Everett), a former hair band lead singer who now spends her nights as a boozy karaoke crooner as the local dive bar. Barb derisively tells Patti to “act her race,” but Jasper shrewdly draws a parallel between Barb’s bygone aspirations and Patti’s budding ambitions that ultimately intersects in a way that epitomozes the film’s corniness and crowd-pleasing core. 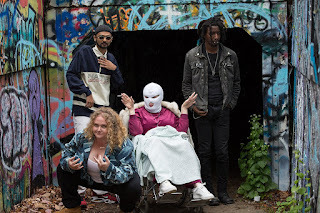 Much of Patti Cake$ is predictable, but it’s made fresh thanks to a game cast that doesn’t miss a beat, particularly the pitch-perfect Macdonald. But the film’s true lasting power may be as a rousing resume-builder that launched another successful directorial career.